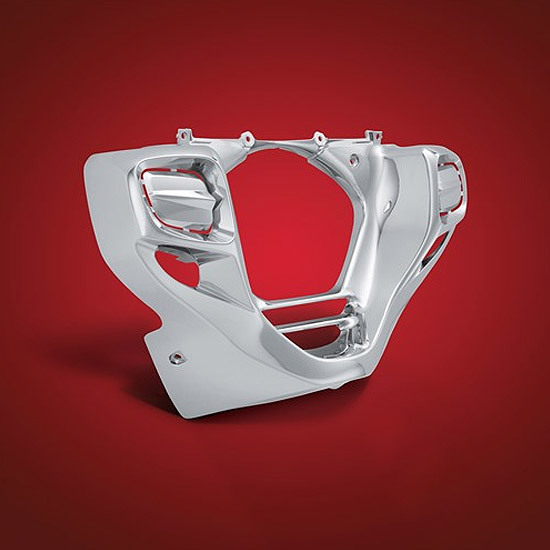 Big Bike Parts® now offers a brilliant chrome lower cowl matching the GL1800 Goldwing styling for 2012- and later models. 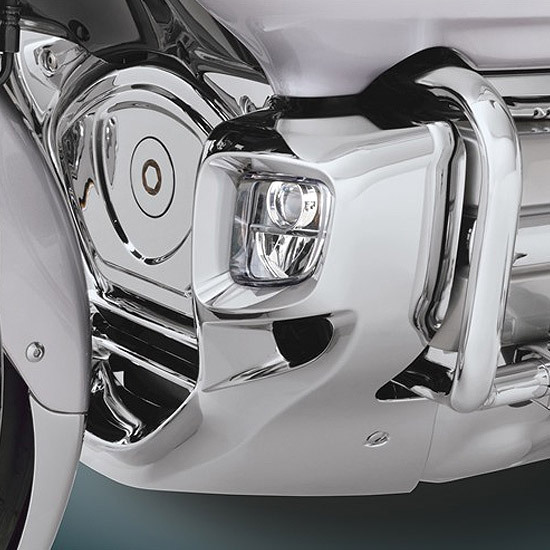 This new Show Chrome Accessories® lower cowl is made with the same exceptional quality Goldwing riders have come to know from Big Bike Parts®. With rectangular knockout blanks, made for Show Chrome Accessories® LED Rectangular Fog Light Kit, you can ride your GL1800 in style, having that brilliant chrome finish you’ve come to love, all while maintaining your original rectangular OEM styling. Upgrade your earlier 2001 through 2010 GL1800 Goldwing to the new Rectangular Lower Cowl Style and combine with Big Bike Parts® new LED Fog Lights (BBP # 52-906) to maximize seeing and being seen. 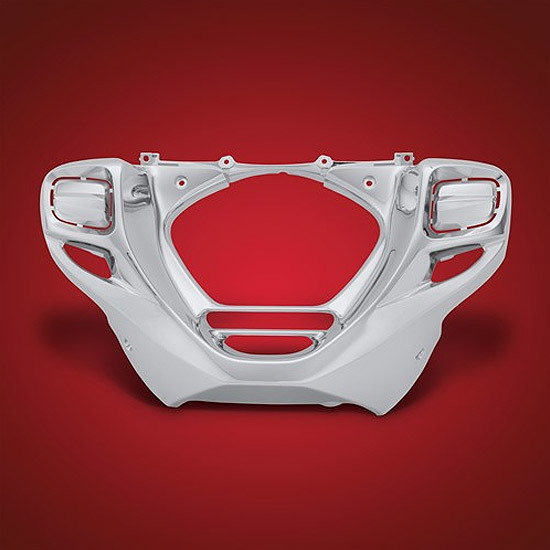 Designed with reinforced tabs for a stronger secure fit over OEM and mounts with existing hardware.